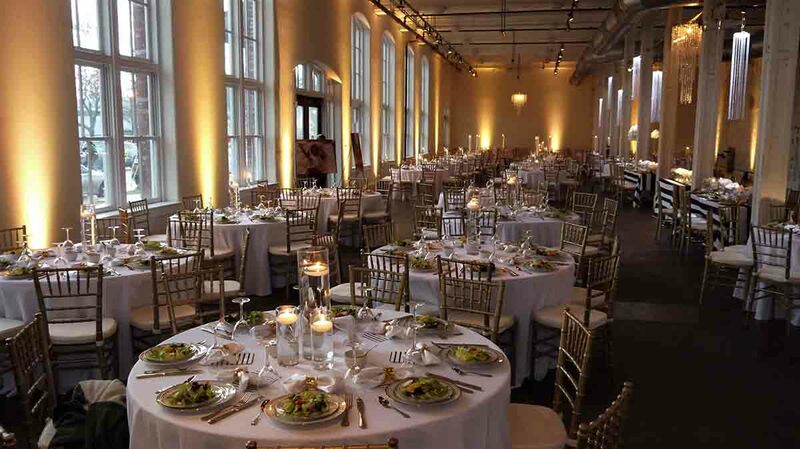 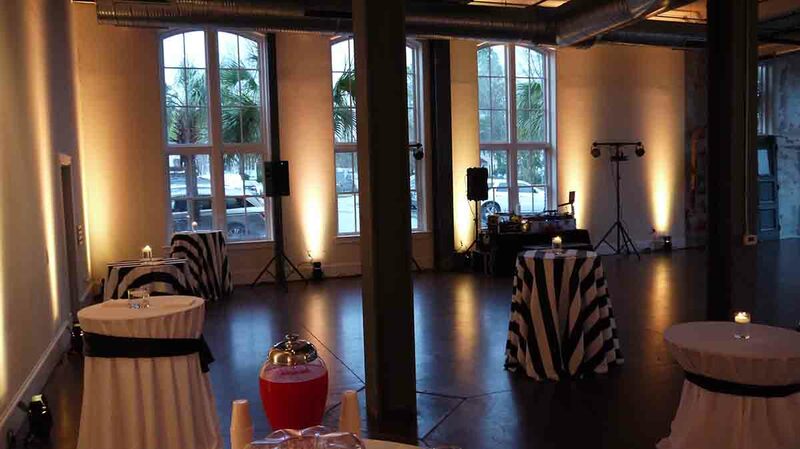 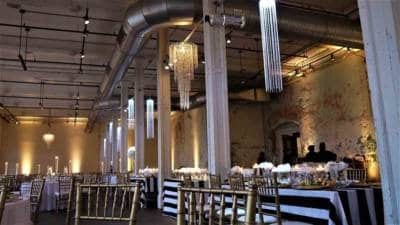 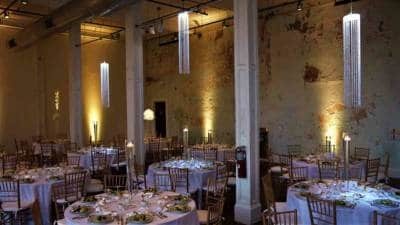 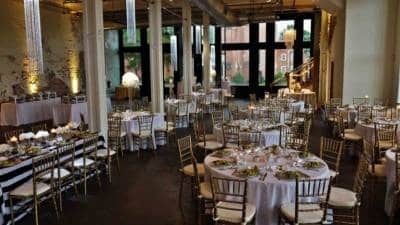 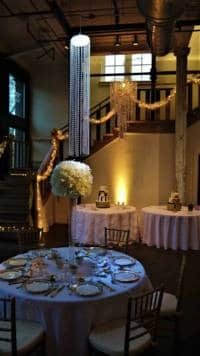 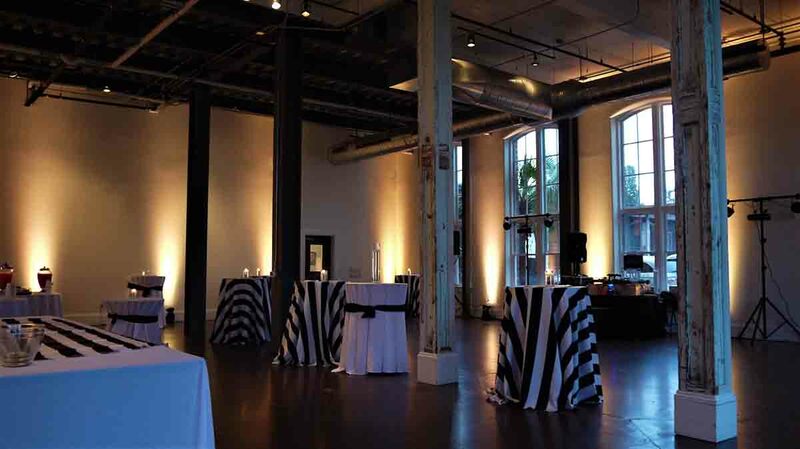 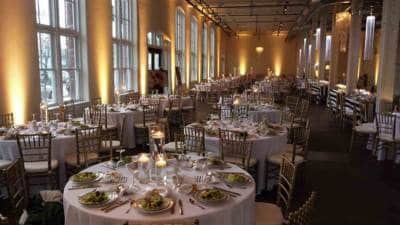 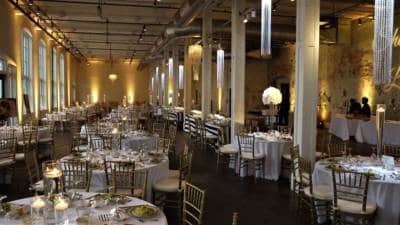 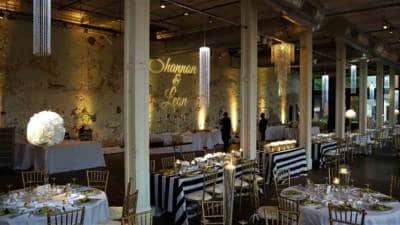 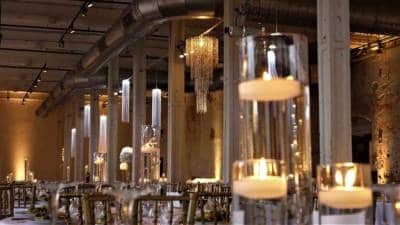 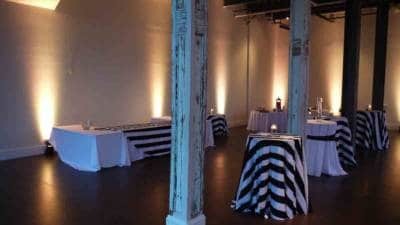 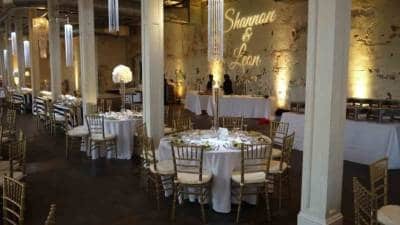 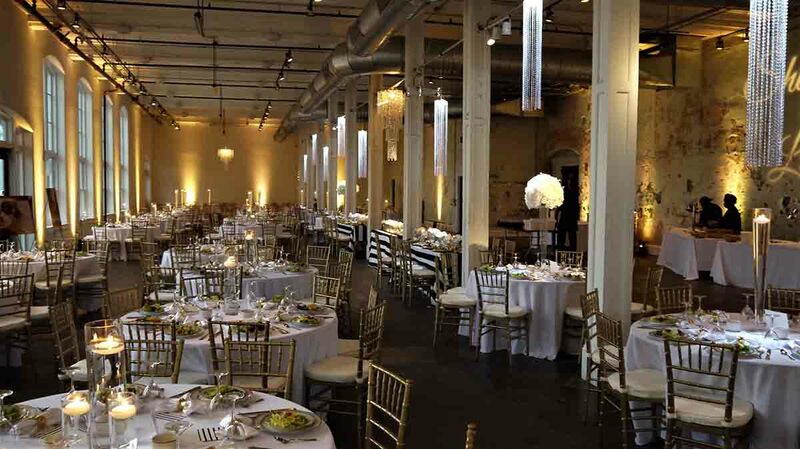 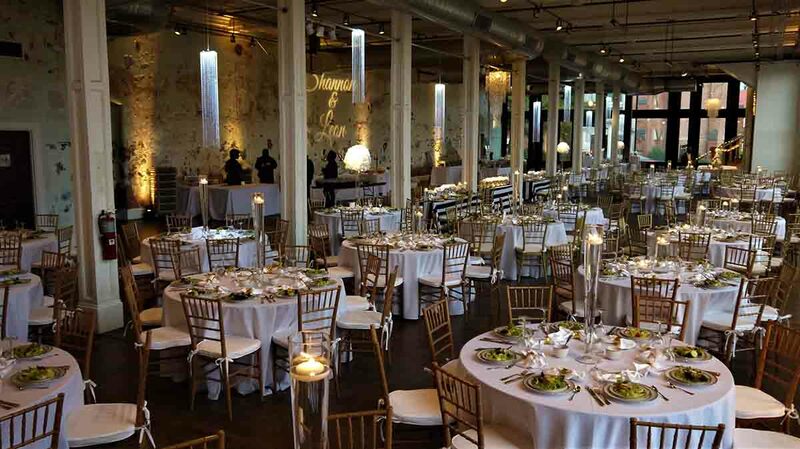 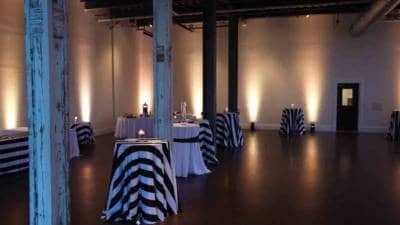 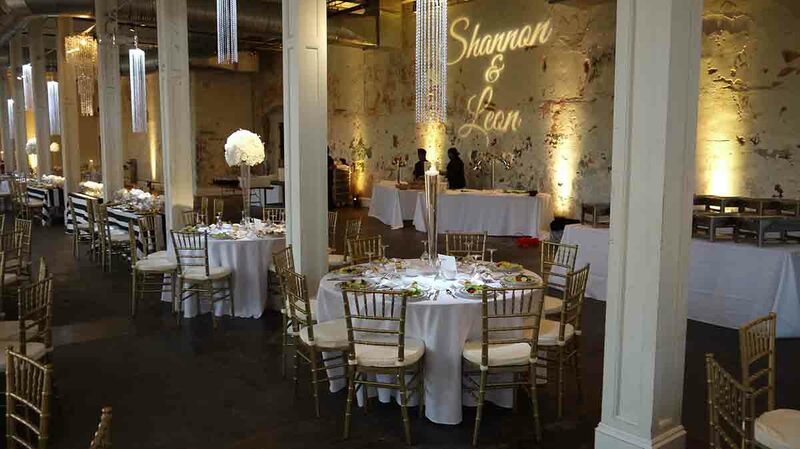 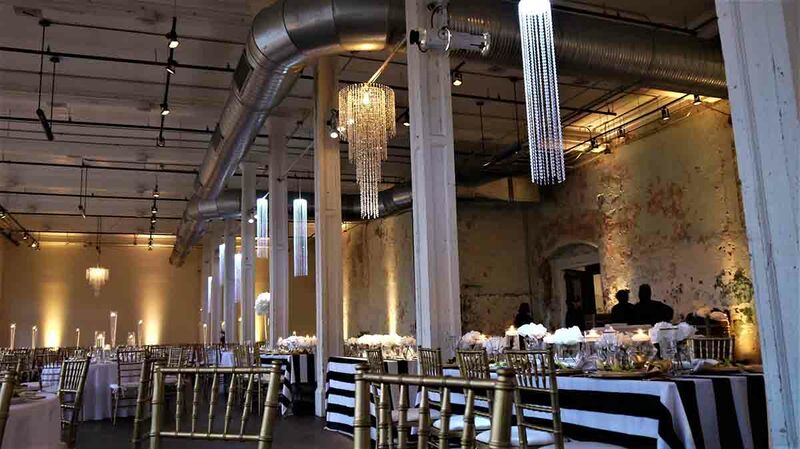 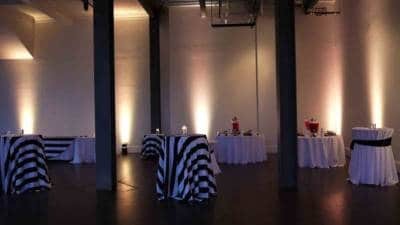 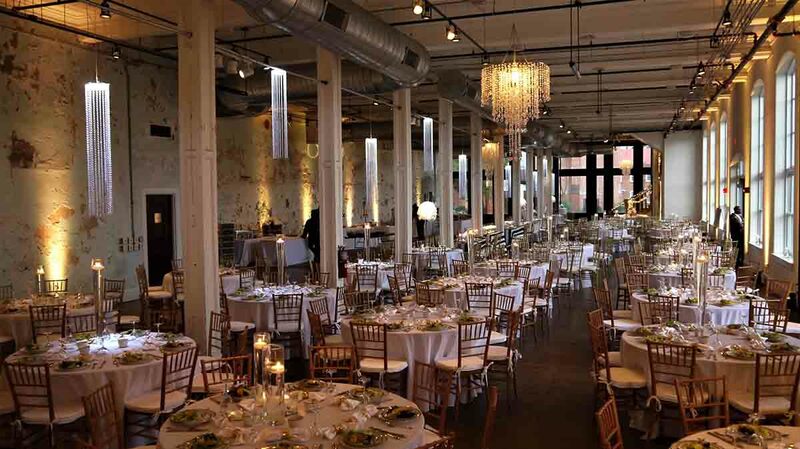 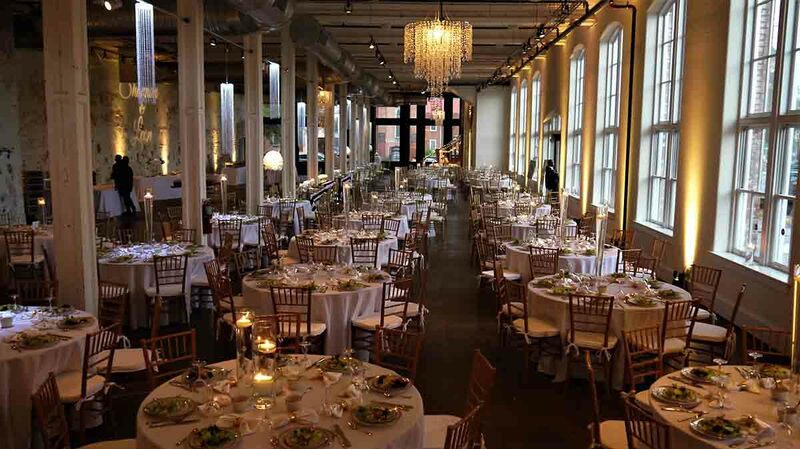 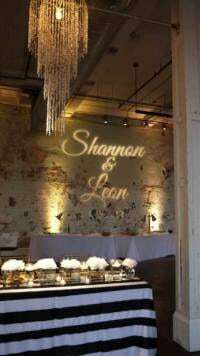 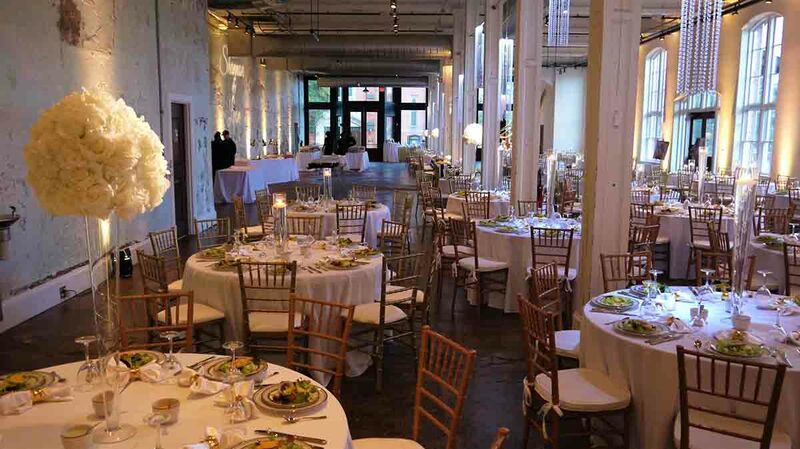 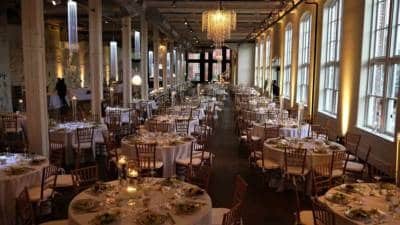 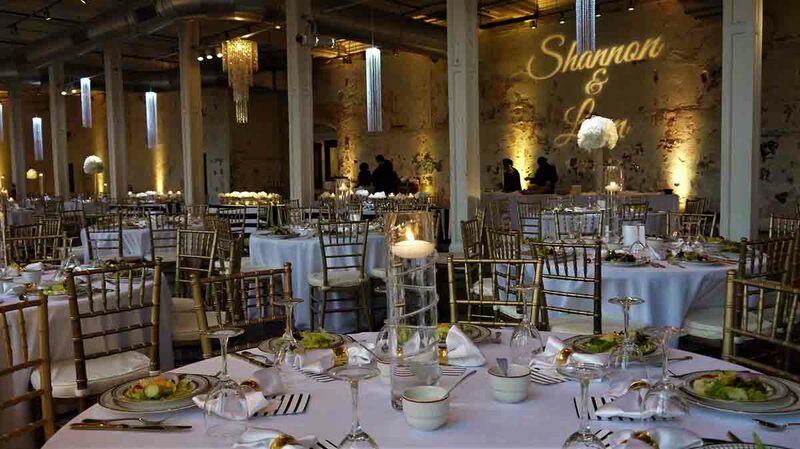 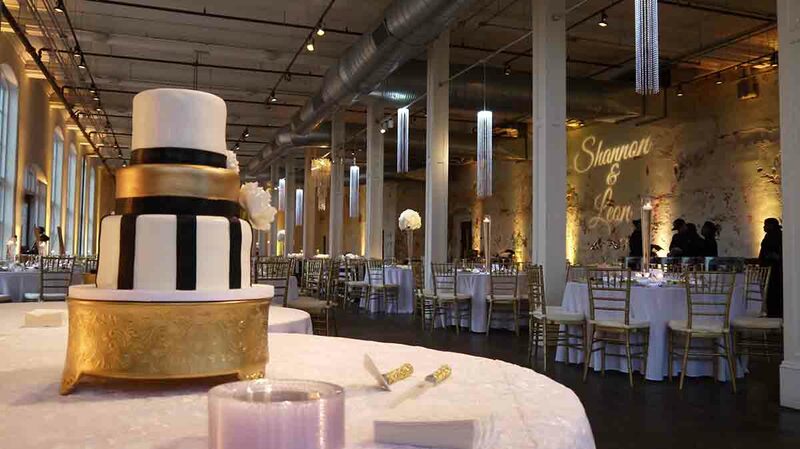 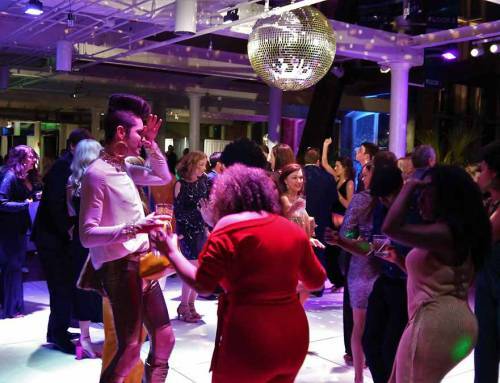 Here’s an event where we were brought in to provide lighting and effects by the Bride, Shannon Stokes for their Wedding Reception held at 701 Whaley in Columbia, SC. 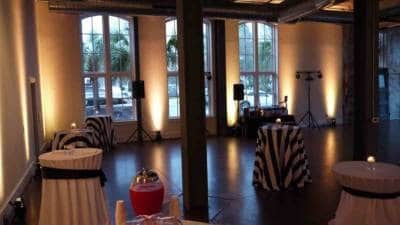 The scrumptious event catering was provided by Seawells Catering. 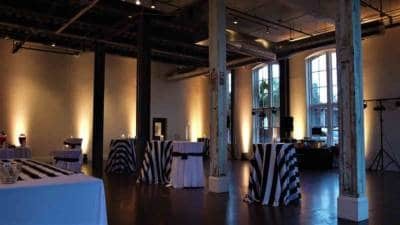 Sound System to include 2 speakers on stands, mixer, wireless lav mic, various instrument mics for musicians, and an on-site technician for duration of ceremony. 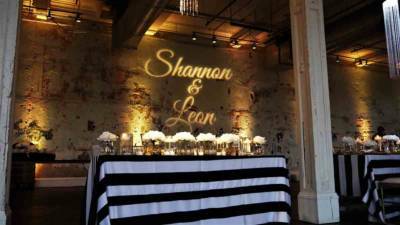 Custom Monogram Projection (includes design) – Single color. 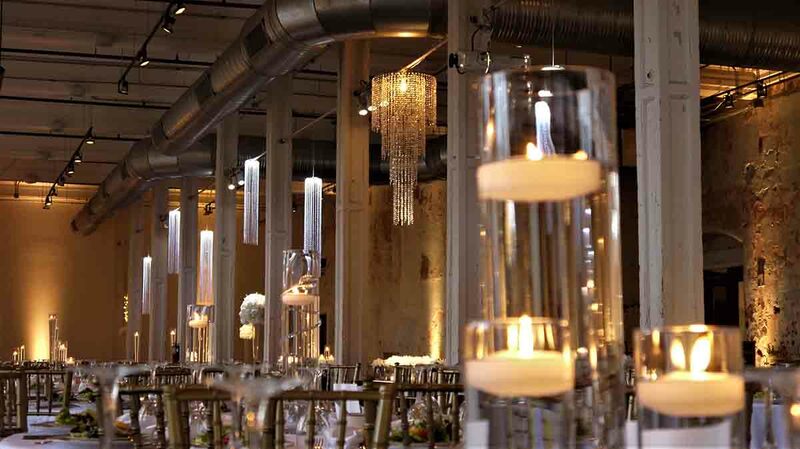 Medium Beaded Crystal Chandelier over food tables. 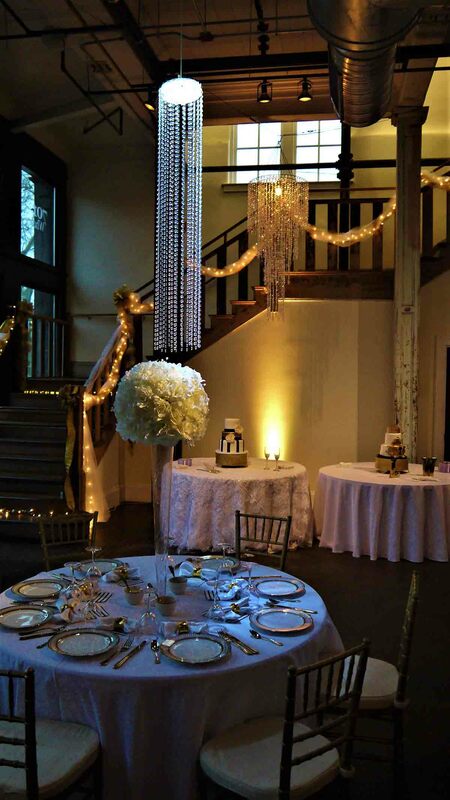 Large Beaded Crystal Chandelier over cake table. 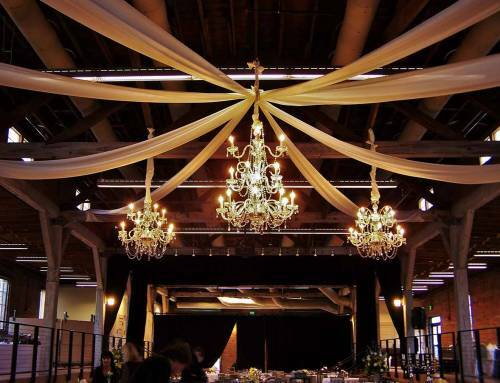 Large Beaded Crystal Chandelier in center of room (between center columns). 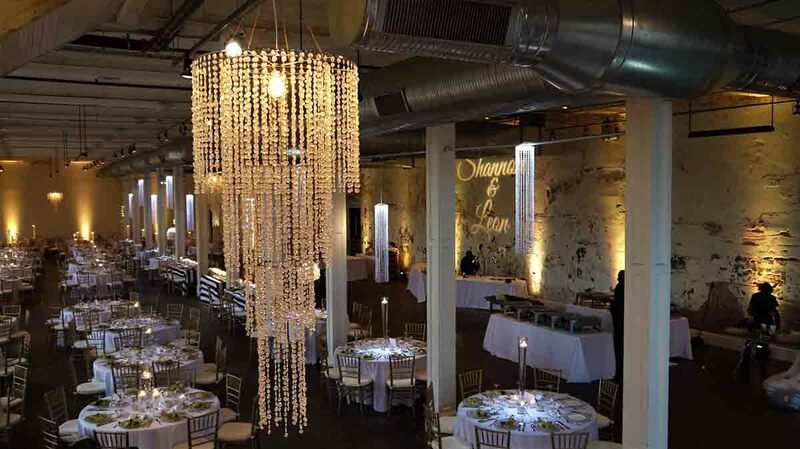 4′ Crystal Chandeliers with lighting. 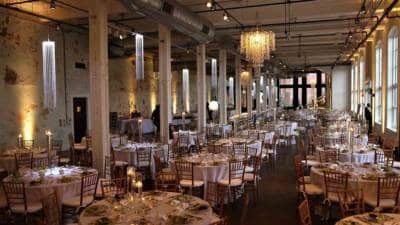 hanging between columns. 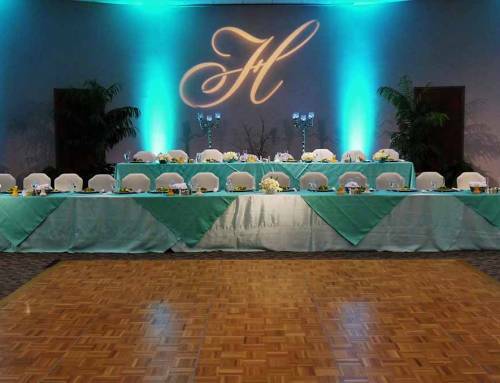 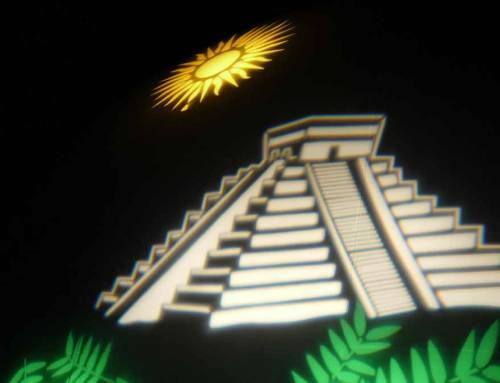 Pin-spot lighting for guest tables.